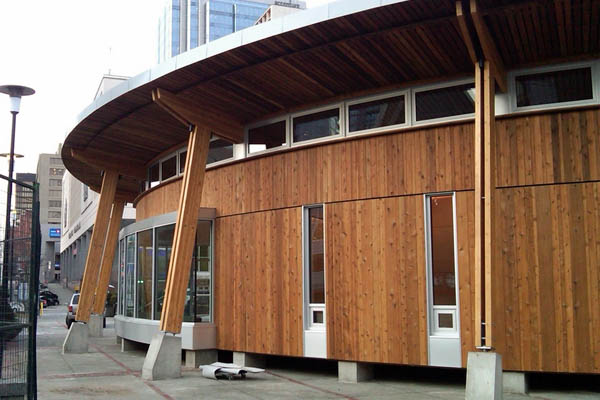 We erected this temporary pavilion commissioned for the 2010 Vancouver Winter Olympic Games. 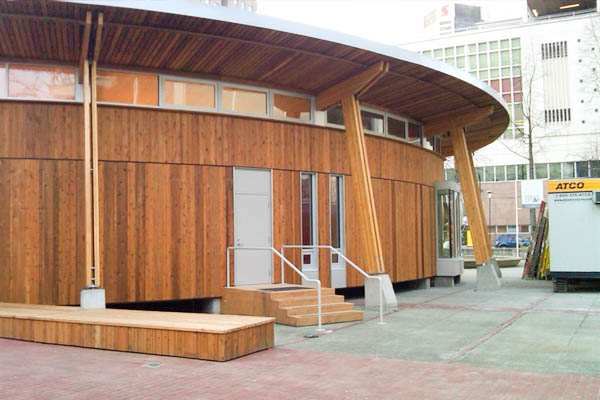 It showcased the culture of the Four Host First Nations, built in the style of a traditional Coast Salish longhouse of cedar + douglas-fir. Post-olympic games, the pavilion was preserved + reerected. 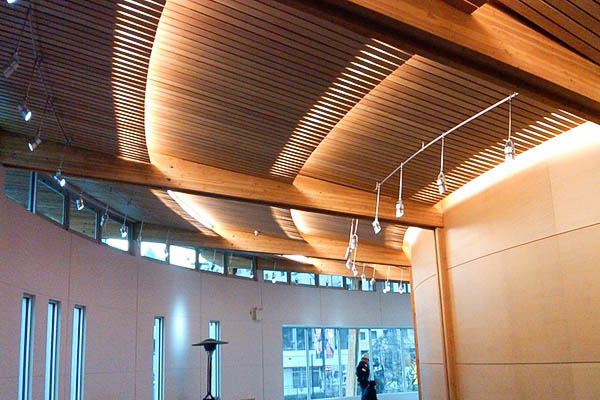 It now serves the community on Musqueam land in southwest Vancouver as the Musqueam Cultural Centre. CHECK OUT THE COMMERCIAL SERVICES WE OFFER.